CHARTER BUSES KWINANA AND COACH HIRE ROCKINGHAM. 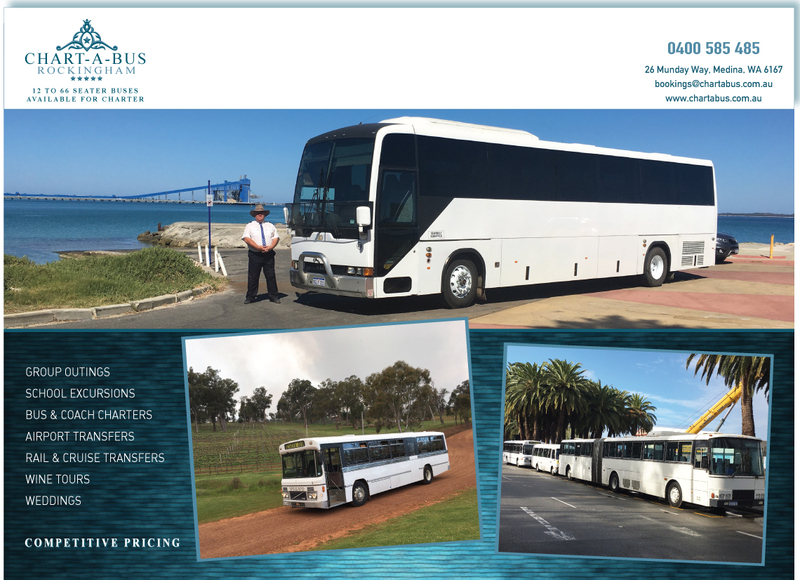 Large and Small Group Outings Bus & Coach Charters, Rockingham, Kwinana, Baldivis, Mandurah, Peel Region. Rockingham School Excursion transport Mandurah. Arrival and Departures also Wine Tours Rockingham. Airport Transfers, Rail & Cruises. Wedding Transport Rockingham to Peel.